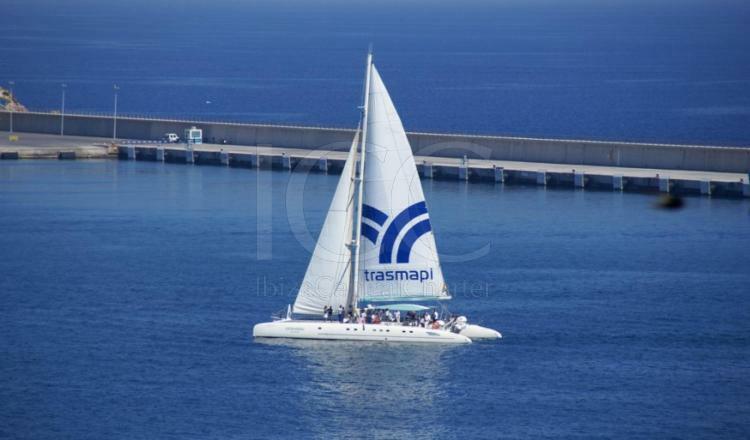 Catamaran for 100 people. 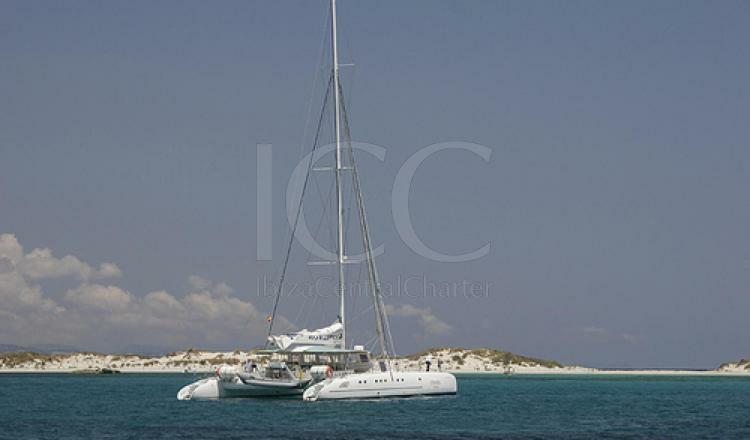 Perfect for events and firends meeting who can enjoy the experience to sailing across Ibiza and Formentera. the catering may also be available. The huge covered deck gives you the opportunity of protecting yourself from the sun, while sitting on comfortable deckchairs talking enthusiastically and enjoying sail navigation and the beautiful landscape. 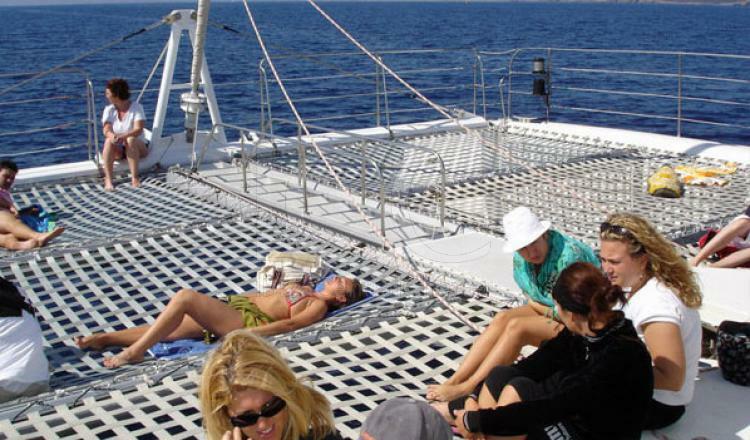 Our large nets on the bow will become your favourite ''solarium''. Lying down on them while feeling the blue waters flow beneath your body and enjoying the murmur of the sea during sail navigation is an authentic privilege. 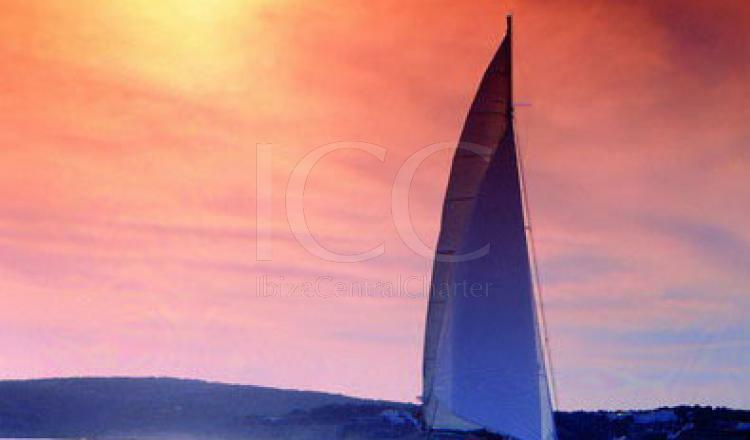 Enjoy a relaxing day, sailing quietly towards a beautiful creek with turquoise waters in the coast of Ibiza and Formentera, while you receive the caress of a light breeze. 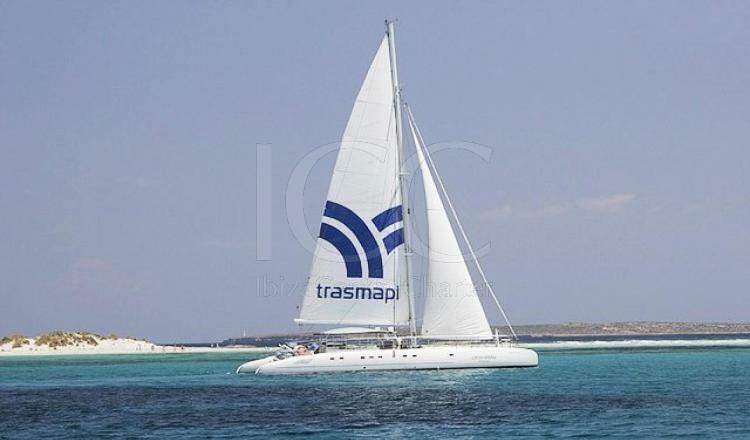 50% when booking by bank transfer, 50% one week before the boarding day. · Mid-morning/Afternoon snack: peanuts, crackers and sandwiches. No drinks. · Aperitif: Welcome drink champagne, olives, crackers, peanuts, chips and canapés. · Barbecue I: Barbecue with assorted meats (chicken breast and sausage), bread, assorted salads (potato, pasta, Mediterranean) and fruit cake.Drinks not included. · Barbecue II: barbecue entrecôte and chicken breast, bread, salad buffet, fresh fruit cake. Drinks: Not included. Check in: at 10:30 a.m.